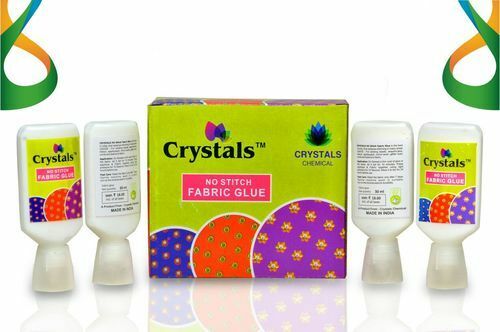 We are among the reputed organizations, deeply engaged in offering an optimum quality range of Crystal Fabric Glue. Founded in the year 2010, we “Crystals Chemical” are a dependable and famous Manufacturer, Wholesale Trader and Retailer of a broad range of Fabric Glue, Textile Gum, Adhesive Glue, Textile Chemical, etc. We are a Sole Proprietorship company which is located at Surat (Gujarat, India) and constructed a wide and well functional infrastructural unit where we process these products as per the global set standards. Under the supervision of our mentor “Mr. Harsh Kaji" (Proprietor), we have gained huge clientele across the nation.